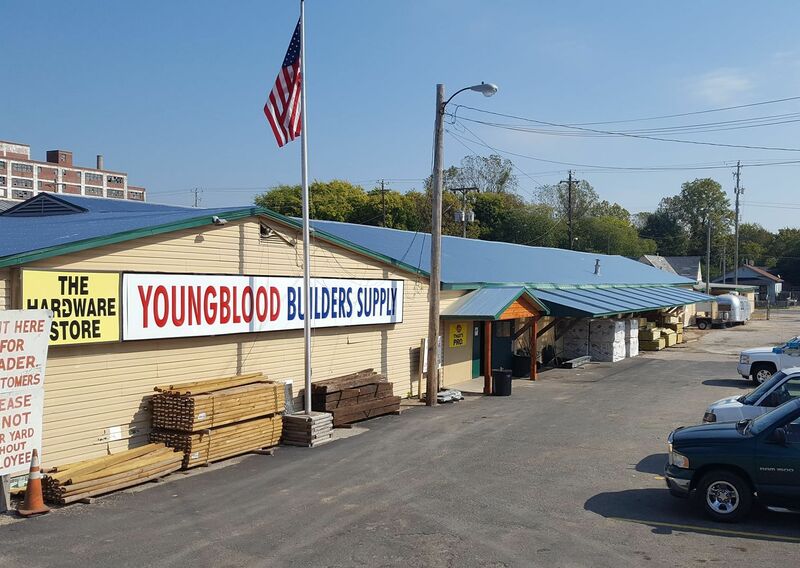 Welcome to Youngblood Builders Supply! New name, same location! Even better service, price and selection! We are one of Memphis’ oldest lumberyards and full-line home centers. With an almost five acre lumberyard and ten thousand square foot hardware store, no matter if you’re building a tree house or your dream house, our knowledgeable staff is ready to help. Have a big job, but not a big truck? No problem. With our fleet of trucks and professional drivers, we’ll bring it to you. Need a hard-to-find or custom item? With our long-standing relationship with multiple vendors, we can special order it for you. Don’t want to come in to pay for materials every time you need something? We have you covered there with available in-house charge accounts, or with your authorization, we can even bill your credit card directly. Check out the Specials page for our current ads.